Renew the knives in your kitchen! 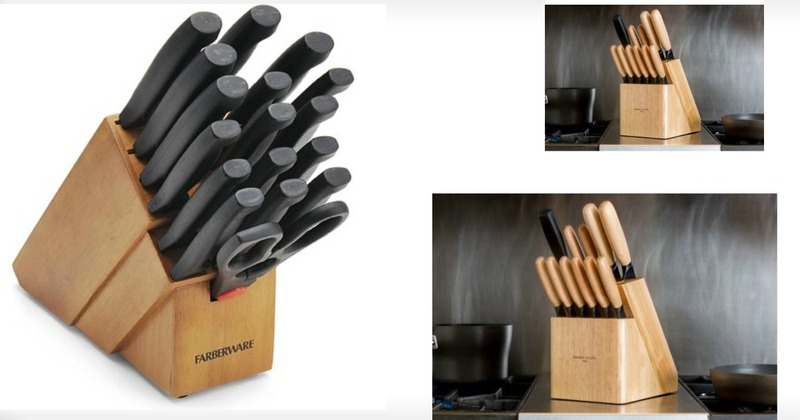 Right now Walmart has this 18- Piece Never Needs Sharpening Knife Block Set on sale for just $13.50 (reg. $29.99), and this BergHOFF Essentials 18pc Knife Block on sale for $55.99 (reg. $149.99), or this Chicago Cutlery 600 Series Beechwood 12-piece Block Set selling for $23.99 (reg. $99). Choose FREE store pickup (where available) or shipping is FREE on orders of $35 or more.